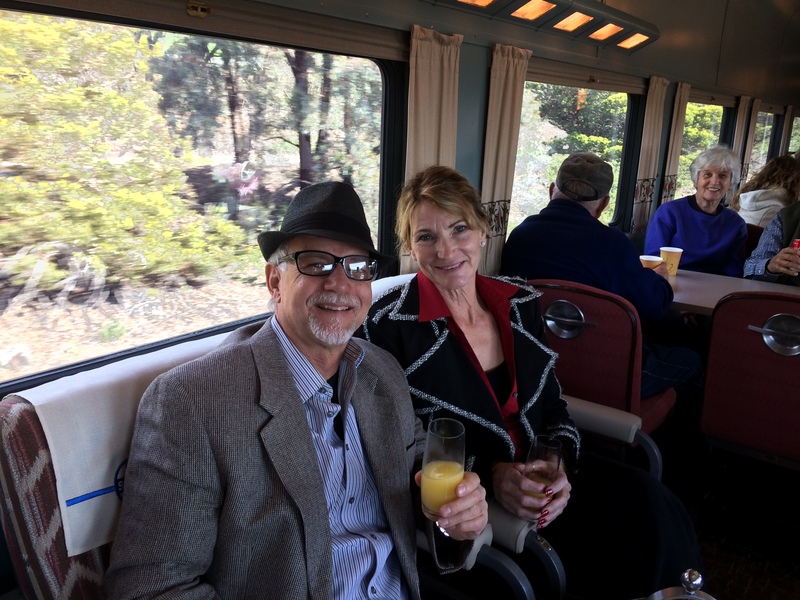 Red White & Rails – a wine tasting adventure aboard a vintage railcar! Join the South Coast Railroad Museum for a wine tasting trip on the vintage railcar Acoma! Ride from Santa Barbara to San Luis Obispo and back enjoying a wine tasting from Grassini Family Vineyards, paired with chocolate from the Chocolate Gallery! Trip includes guided historical interpretation as well as live music. If you are interested in booking, we encourage you to book as soon as possible – seats aboard this Vintage Rail Trip will not last! We depart Santa Barbara at approximately 9:45am, and from Goleta at approximately 10:00am. Train travels up the Pacific Coast to San Luis Obispo, with an approximate 5:00pm return to Goleta and Santa Barbara. Cost is $125 per person. Acoma seats just 25 guests total. Book now! Please contact mia@goletadepot.org with any questions!